When I got engaged, I really had no idea where to start. Unlike many ladies, I was not one of those girls who always dreamed of the day when I would walk down the aisle. 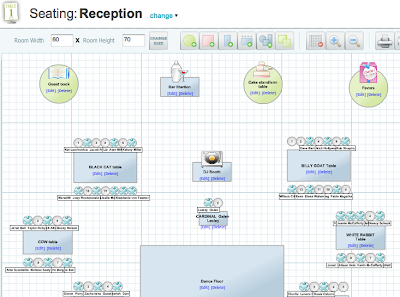 When we decided to get married 6 months after getting engaged, I had to transform into a wedding planning robot. There is no way I would have been able to pull it off without some handy online tools. Here are the top 5 most helpful online wedding tools I used to pull it off. As soon as we nailed down a location, we needed to get our save-the-dates out right away. Like, the next day. 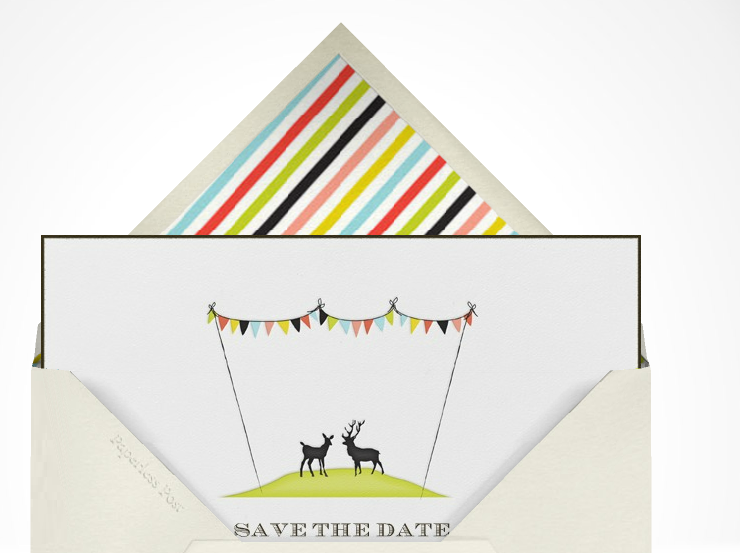 Luckily someone told me about Paperless Post, which allowed me to customize a card, an envelope, and envelope lining! You just upload your contact list, and it blasts out a personalized card to each friend and family member and keeps track of the responses. At first it seemed like a ghetto idea to email a save-the-date, but the site completely changed my mind. 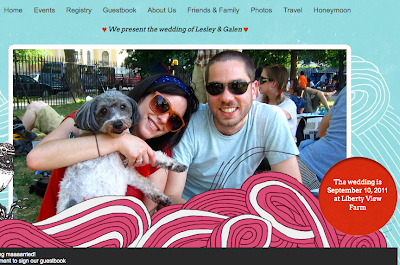 We knew we wanted a cool wedding website with a memorable URL, so I had my friend snag me LesleyandGalen.com. I'm not much of a designer, but Wedding Jojo had some fun templates to choose from and they made adding all the info pretty easy. Also, because my apartment is roughly the size of a PF Chang's lobby, we have no room to put anything. I hated the idea of stuffing a bunch of tea cups and napkin holders into my snack drawer (one of four drawers in my kitchen, and it's already filled with fruit roll-ups). Registry Jojo allowed us to ask for an amazing honeymoon as a gift. We filled out our site with custom options like "Swiss Spa Adventure" and "Spending $$ at the Luvre" and asked our guests to contribute. It worked! I seriously hated The Knot and all their creepy email reminders. "We noticed you're getting married soon and you have 57 uncompleted tasks this week!" I was happy when I discovered Martha Stewart Wedding's handy set of planning tools. The most helpful one was the seating tool, which allows you to upload your guest list and drag and drop people to different tables. Ooooh Pinterest, how I love thee. If you haven't discovered this online curating tool, you need to check in out immediately. It allows you to "pin" your favorite stuff online as your surfin' the net with the click of a button. I obsessively searched wedding blogs at weird hours of the night and was able to remember the best of what I'd just looked at. 5. Pinhole Press Ok, so this one's not a planning tool, but I used Pinhole Press to make our wedding album and I love it so much. I ordered a small paperback version which fits nicely in my living room (the size of PF Chang's hostess stand). 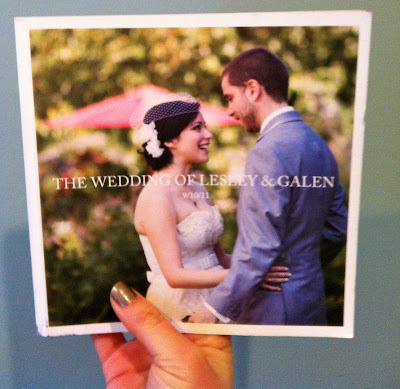 The book is beautiful and was pretty easy to make, aside from agonizing over which 68 pictures to include. I'm pretty sure I would have eloped had it not been for the Internet. This information is really useful for me, thank you for posting. Your concept is too amazing!